Deane E. Jensen died suddenly in his private audio engineering laboratory at Jensen Transformers, Inc., North Hollywood, California, the weekend of October 21, at the age of 47. A contributor to the Journal of the Audio Engineering Society, Deane was well known for his efforts to improve the fidelity of sound in the recording, reinforcement, and broadcast industries. Jensen Transformers, Inc. was dedicated to high quality, both in its hardware and software. The company will continue Deane's work, building quality products and serving the audio community with engineering leadership. Born in Annapolis, Maryland, in 1942, Deane lived in Princeton, New Jersey, and later in Baltimore, Maryland. He attended the University of Pennsylvania where he started in audio engineering and operations at WXPN, the student-operated FM station. 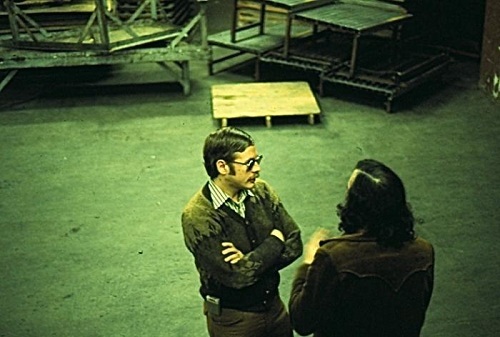 He founded Jensen Transformers, Inc. in 1972, after moving to Hollywood. He was the owner and CEO from its inception to the present time when it achieved prominence in the industry. Deane's low-distortion audio amplifier input design was awarded a patent. His 990 amplifier set new standards for noise, distortion and level capabilities. Deane published the complete circuit of the original 990 for anyone to utilize, showing his special dedication to furthering the state of the art. He was a pioneer in computer aided design (CAD) of transformers, filters, and amplifiers. His COMTRAN® circuit analysis program is widely used for CAD in these fields. His many articles and lectures on high-frequency phase response and its audible effects have helped many engineers improve their products. He is survived by his parents. Dr. and Mrs. Arthur S. Jensen and a sister, Ms. Nancy Jensen of Baltimore. Deane Jensen and I met in 1972 when I was working as a technician for Automated Processes, Inc. in Farmingdale, NY. Deane had been sent there as a consultant for Wally Heider Recording Studios to do the final acceptance/checkout on a large recording console API was building for Heider. Deane ended up staying in New York for several months to oversee completion of the console through many bus fixes and improvements. Due to the length of the implanned stay, he was invited to move out of the motel and share a house with my roommate, engineer Fred Addison, and I for a couple of months. I learned a lot from Deane about the application of scientific principles and ethics at an early point in my career when a lasting impression was made. Our friendship grew, and when I moved to California, a year later, Deane helped me get established. Jensen Transformers became one of our first clients, and our relationship was always one of mutual respect. One particular lesson I learned from Deane is that there is a "best way" to do something — that "good enough" is not really an option when perfection is the goal. Those who did not know him well sometimes thought of Deane as beings somewhat aloof. In fact, he was very warm and concerned about his friends. If he thought he said something that in some way might have been offensive, he would often phone the person to make sure there was no insult or misinterpretation. He went out of his way to make sure he was clearly and fully understood. Magazine editors winced at his insistence of a "no edit" policy on anything he wrote, but he refused to have his concepts truncated or mistakenly "improved." This was, perhaps, an extension of his attitude of not accepting anything at face value. If it were assumed that a particular equation or theory had always been a certain way, Deane did his own basic research to affirm or disprove it. He took another person's word about an engineering principle with a grain of salt — and this quality served him well. It enabled him to make breakthroughs in many areas. It is the reason, for example, he ended up making transformers in the first place. He simply thought better ones could be made and wanted to have better transformers to use in the audio circuits he was designing. His true goal was better audio, not just better transformers. Ultimately, he devised new ways of winding coils and was involved in formulating special new alloys to achieve orders of magnitude improvement in transformer performance. Although Deane was dedicated to his work, he was not a workaholic in the traditional sense. He was driven to complete a number of ambitious projects, many involving basic scientific work not specifically aimed at new product development. It was this unselfish, persistent, inquisitive attitude that will forever remain my most treasured memory of a good friend. Foundational text courtesy of Gary D. Davis. Write about Deane E. Jensen! Do you have content or pictures, to add, of Deane E. Jensen? Please feel free to Share it, here!